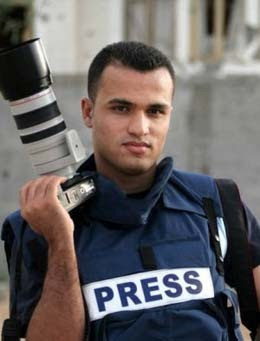 A talented young journalist, Mohammed Omer, returns to his home in Gaza from London after receiving the Martha Gellhorn prize, awarded to journalists "whose work has penetrated the established version of events and told an unpalatable truth." (More on the prize here.) He is met at the Gaza border with a full measure of Israeli brutality and racism. But he was one of the lucky ones: at least he wasn't shot. This page contains a single entry by Dr. Dawg published on August 14, 2008 2:26 PM. Jail. Them. All. was the previous entry in this blog. Caution: exploding heads on the right is the next entry in this blog.